Biosecurity NZ (MPI) is making progress in its trial to screen inbound baggage for biosecurity risk material. It has now installed a new Rapiscan unit in the MPI/Arrivals Hall at Auckland Airport, which it will use to develop an algorithm to detect biosecurity risk items. 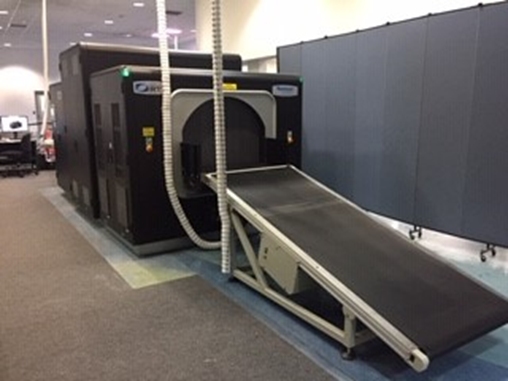 Anyone who would like to attend a demonstration of the new baggage scanner at the International terminal in Auckland at 8.45am on Tuesday 18th December please email jen.fagan@mpi.govt.nz to confirm our attendance. The minister for Biosecurity will be in attendance.